Sounds a great book. I love the idea of a meal in a jar, like you said sometimes you want homemade convenience food! Sounds good. Like the idea of the water being included in the prep as water can be scarce in hard times and foodstuff such as dried beans/lentils take quite a bit of water and cooking fuel. Funny isn't it, been a prepper for yeras and haven't really thought that one through before. I know people make great frozen meals too, but sometimes I don't want to wait to defrost anything. A meal in a jar is great! I know, that had never occurred to me either. I've canned lots of broths to have available for cooking, but having the meals ready to go makes more sense, doesn't it? I'll have to add this one to my library! Thank you so much. I've only canned green beans and tomatoes, and made relish, pickles, and salsa and canned them. 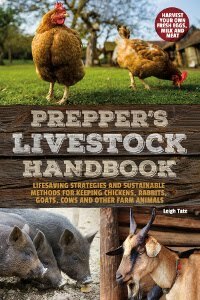 I've been too nervous to try meat, but this book may be just what I need to give it a try! This book sounds wonderful! I am still scared to can with a pressure cooker though. It's not even the pressure cooker 'blowing up' stories as they are safer than they used to be but more the food safety issue. I canned once with a pressure cooker and was so concerned I would feed the dog some the day before to see if it was safe for my family (the low acid foods). I would love to make canned meat as I have (more than once) lost my entire freezer's worth of food because of power outages. Plus, freezer burn always seems to be an issue. I love my dogs too but I had little ones and was so afraid I would poison them and botulism kills, I think.....it's not just getting sick. 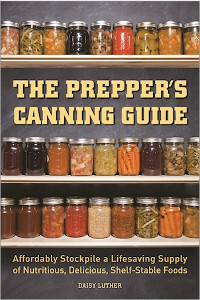 I could be wrong but this book might help me get over my fear of canning things other than tomatoes and jams! LOL! I love having canned meat on my shelves. Makes it so easy to get a meal going. It just takes a longer processing time than most other foods. Anything new is a big step! I do have quite a bit of our meat in the freezer since it's quicker to wrap it and toss it in, but I have to remember to defrost it! I agree freezer burn is an issue too. I have figured that if the freezer ever went out I'd have to have a can-a-thon to save it all. If proper safety precautions are followed, all should be safe. This author should thank you, Leigh. I think you're doing a good job of selling this book. I'm going to get it, too, on your recommendation. I do love my freezer(s) but having meats (and beans, peas, and legumes) ready-to-eat on the pantry shelf is a big plus in many cases. Thanks for the review. I'm going to get this book to add to my collection. As others have said, pressure canning makes me nervous but hey, we have to learn eventually right? I think that might be what I ask for for Christmas. :-). In the meantime, I'll get more adept and regular canning this year with the garden. Aw shucks, Mama Pea. It is a good book, though, with good information. I think it's a good addition for any kitchen library. Oh Leigh, we're outdoor cousins from different countries. I swear I think about dinner, like 2 minutes before the sun goes down, and I've just come inside from gardening. Canning does sound like a good way to put up the excess, and this book seems to go to the extra trouble, of making it seem more accessible. Have you tried canning corned beef? Does the book have any like recipes? LOL, Chris, it's true, you and I seem to think so much alike. I have to say that canned corned beef sounds wonderful! There isn't a recipe specifically for that in the book, but one chapter talks about canning leftover roast, ham, and poultry. The last chapter gives guidelines for canning anything you'd like, so canned corned beef is certainly doable. I was curious if it covers steam canning? I have been using that for years with certain foods, since I have a glass topped range. Once the range dies I'm going to gas or electric so I can pressure can. Love your new header too, nice!!! She doesn't mention steam canning, I'm guessing because the USDA and National Center for Home Food Preservation don't recommend it. 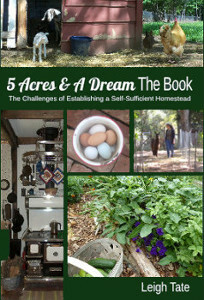 Ordered the book, looks good!